New images shed insight into blend of local and global influences informing design of supporters’ group section. 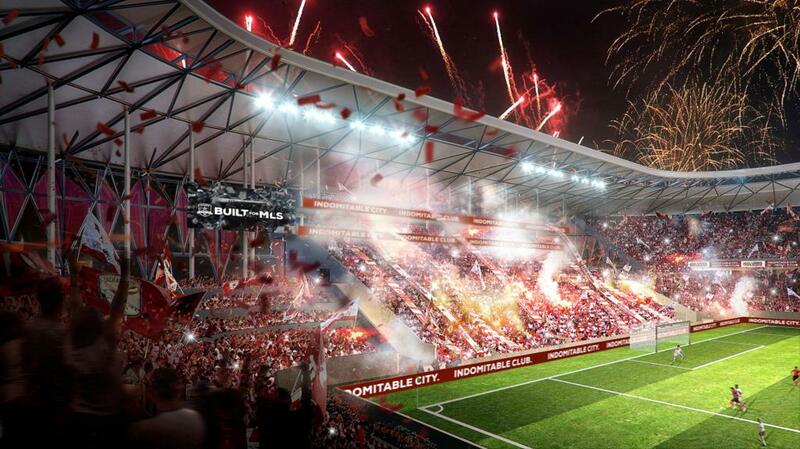 Sacramento, Calif. (April 13, 2016) – Sacramento Republic FC released a new set of renderings today for the proposed MLS stadium at the downtown Railyards. 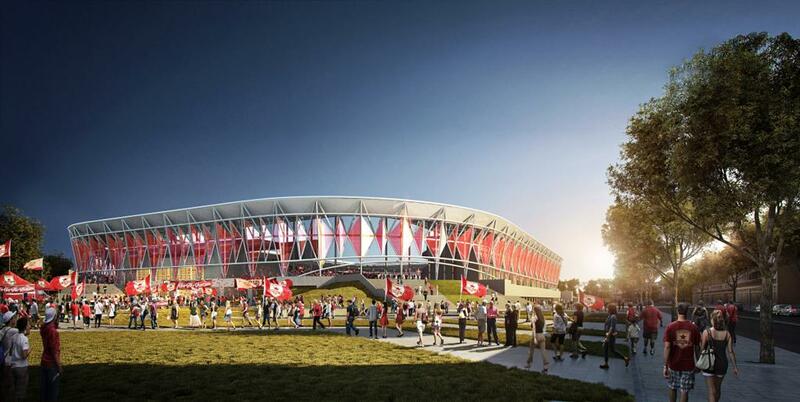 The new renderings focus on the stadium’s supporter section, designed to create a sense of community and exclusivity for their independent fan groups including the Tower Bridge Battalion. Today’s news comes on the eve of the historic visit by MLS Commissioner Don Garber to Sacramento tomorrow, April 14. Republic FC fans and members of the public will have the opportunity to see Garber in person at the MLS Block Party on L Street between 15th and 16th streets. Event begins at 11 a.m. The vision for these renderings comes from several different sources. Owners Vision: Lead Investor Kevin Nagle and Republic FC President and Co-Founder Warren Smith made a strategic design decision that above all else, to provide an unparalleled soccer viewing experience. Republic FC hopes to serve a broad and diverse array of Sacramentans through this multi-purpose facility, but the core audience is and will always be fans of Republic FC and of the world’s game in general. That is why there has been special attention given to the supporter section, so that Republic FC is creating not just a great stadium, but a great soccer-specific stadium. Fan Feedback: Republic FC underwent an extensive surveying process (4000+ respondents) and put together numerous focus groups (700+ participants) last year. Participants sent a loud and clear message that fans want a great soccer-specific stadium and most passionate fans in particular want to have their own gathering space. Global influences and the “Hinchada”: The stadium design team sought to infuse the stadium with influences from the global football community. They have specifically weaved in the concept of the “Hinchada,” a term commonly used in South America, to describe the intensely loyal and passionate fans of their storied football teams. Republic FC’s hope with this stadium and its support section is to create an “Hinchada” that is unique to Sacramento. 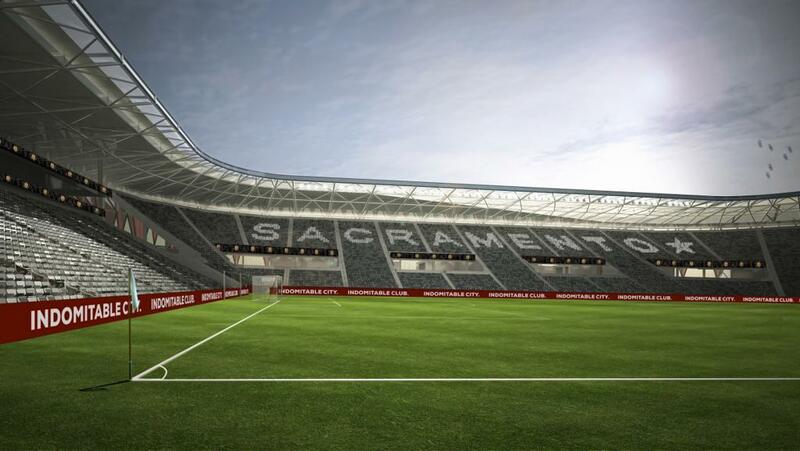 For more information on the MLS stadium, please visit BuiltforSacramento.com.